This is our 3rd time participating in the Honolulu Festival. We have been participating in the festival every other year. Although hotels and shops in Hawaii have changed a lot, Hawaiian ocean, skies and atmosphere have never changed. We will dance with Aloha. We enjoy dancing the hula in Kita-ku, Kobe. 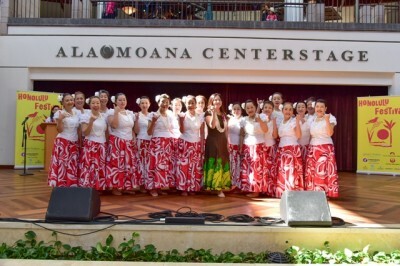 We will be performing to celebrate our 10th anniversary in Hawaii. Also, this year will be our second time to participate at the Honolulu Festival. We are very anticipated to travel and perform in Hawaii. We are performing the hula dance as a volunteer. We would like to enjoy our stage to the fullest in Hawaii.